Janey Fabre knows she isn't the average thirty-something. After all, she has found herself stalking her ex-boyfriend on more than one occasion. But when she joins group therapy, she is convinced that the other women she meets are ten times loopier than she is. Suzanna prefers the company of her dog to human beings. Laura is a record-breaking gold medalist in the one-night-stand Olympics. And Bethany, a forty-year-old divorcee, still lives with her mother. Not to mention Valentine, a painfully shy beauty who binges on DoveBars; Ivy, a sweet-talking southern belle who binges on Botox; and Natasha, who wears a face mask to protect herself against unseen airborne pathogens. 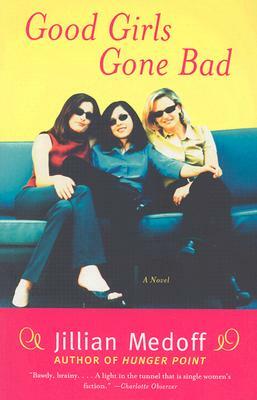 Over time, Janey and the girls concoct an outrageous scheme for asserting themselves, and suddenly they're embroiled in a reckless and exhilarating misadventure that wreaks havoc on their lives but ultimately illuminates the power of loyalty and the true meaning of friendship.